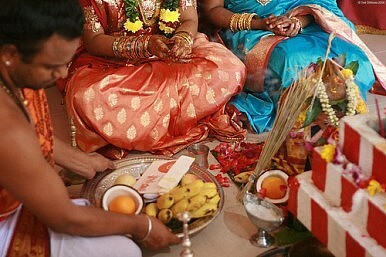 Websites like ‘Second Shaadi’ show more Indians looking to the Net for marital bliss. The fact that websites such as ‘Second Shaadi’, ‘Doosra Vivaha’ and ‘Marry Again’ (all of which mean second marriage) are growing in number in India suggests that there are a growing group of people looking to find the perfect spouse the second time around on the Internet. It’s an interesting ‘virtual’ twist on India's unique concept of arranged marriages. I’m not surprised though. I often say that in a place like Delhi I know more people happily divorced than happily married. With the number of marriages ending in divorce swelling, in the big cities at least, the intense stigmatisation of divorced women (and men) is thankfully on the wane. In fact, recent reports in the media pointed out that for every five weddings registered since 2002 in Mumbai, family courts have received two applications for divorce–an astounding figure. Many have blamed the younger generation's ‘me-first’ attitude and the growing independence of working women in India for this dramatic spiral in numbers. A lawyer I spoke to told me because the Hindu Marriage Act 1955 treats marriage as a religious sacrament, not just a mere contract, couples are often forced to levy inflated charges of injustice, infidelity and cruelty to get a bitter divorce through. So he said he welcomed the government's decision last week to bring in amendments to the act. The brand new amendments recognise ‘irretrievable breakdown of marriage’ as a justifiable reason for divorce and will make divorces easier to get. The change isn’t good news exactly, of course. But it’s a worthy example of legislation that is trying to keep pace with the times. No law can legislate happy marriages. But with this in mind, one that allows people to begin and/or end a relationship with dignity has to be a welcome one.